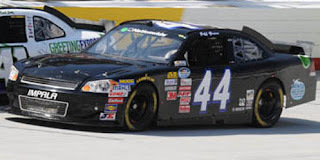 Jeff Green picked up the 24th last-place finish of his NASCAR Nationwide Series career in Friday’s Food City 250 at the Bristol Motor Speedway when his unsponsored #44 TriStar Motorsports Chevrolet fell out with vibration problems after 4 of the race’s 250 laps. 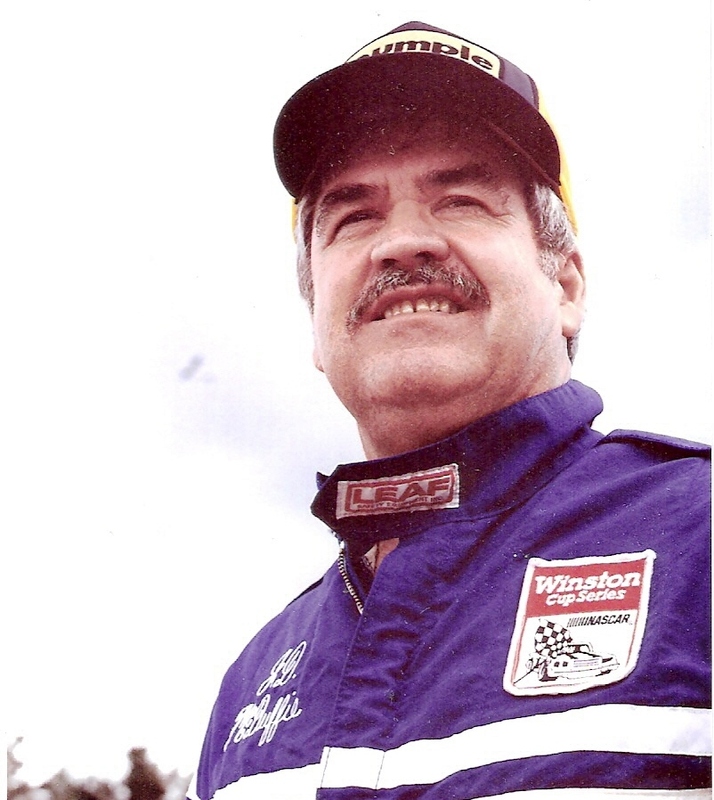 With the finish, Green became the first driver in the history of any of NASCAR’s top three divisions to finish last in four consecutive NASCAR-sanctioned points-scoring races. The previous three finishes came at Iowa, Watkins Glen, and Montreal. Green, now tied with Jeff Fuller for the fourth-most last-place finishes in NASCAR history, is also now tied with Fuller for the most last-place finishes in NASCAR Nationwide Series history. In Nationwide Series qualifying, Green secured the 43rd and final starting spot at a speed of 115.236 mph, good enough to bump out of the field the cars of Johnny Chapman, J.J. Yeley, John Jackson, T.J. Bell, Jennifer Jo Cobb, and Carl Long. Green also attempted to qualify Larry Gunselman’s #37 Ford for the Sprint Cup race, but spun in Turn 4 and backed into the wall during his first timed lap. Although he was able to turn around and valiantly went through his second lap, Green still missed the race along with J.J. Yeley and T.J. Bell. That night in the Nationwide race, Green pulled behind the wall, followed two laps later by Brian Keselowski in Key Motorsports’ #47 Chevrolet. *The race marked Jeff Green’s second-consecutive last-place finish in the Nationwide Series’ night race at Bristol. Last year, Green’s #36 Long John Silvers Chevrolet lost its brakes after four laps. Green was also the last-place finisher of this race in 1992, when his #16 31-W Insulation Chevrolet lost its engine after the opening lap. *The #44 had not finished last at Bristol since this race in 2002, when Mike Harmon fell out with handling woes after two laps. 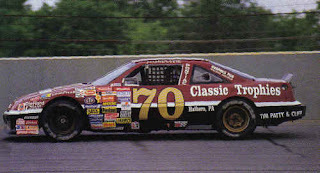 As reported in an earlier article, Harmon was driving a backup car provided by Larry Gunselman following Harmon’s horrifying practice wreck into the unlocked crossover gate off Turn 2. 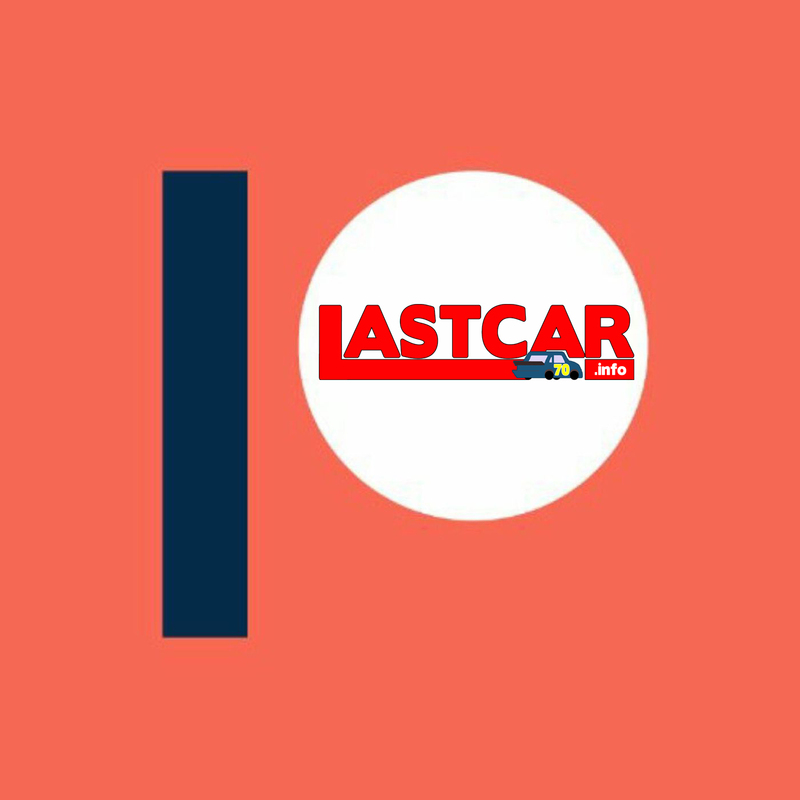 Five times in the history of NASCAR, a driver has finished last in three consecutive points-paying races, only to have fallen short in the fourth. All five of the following streaks took place in the Cup Series and Nationwide Series; a driver has yet to finish last in three consecutive Truck Series races. J.J. Yeley picked up the 6th last-place finish of his NASCAR Sprint Cup Series career in Sunday’s Pure Michigan 400 at the Michigan International Speedway when his unsponsored #55 Front Row Motorsports Ford fell out with electrical problems after 11 of the race’s 203 laps. It was Yeley’s fourth last-place finish of 2011 and his first in two races, when he trailed the field at Pocono earlier this month. Yeley qualified 31st for Sunday’s race at a speed of 186.287 mph, ranking him 3rd behind Casey Mears and teammate Travis Kvapil among the field’s “go-or-go-home” drivers. The run was more than enough to lock Yeley into the field ahead of Johnny Sauter in Robby Gordon’s #7, Erik Darnell in Dusty Whitney’s #46, and T.J. Bell’s Joe Falk-owned #50, who all failed to qualify. Early in the race, it appeared that Mike Skinner, his #60 slowest in both the weekend’s practice sessions, would tie Michael McDowell for the 2011 LASTCAR Cup Series lead. 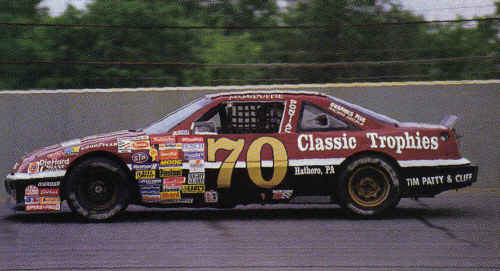 With McDowell again replaced by Todd Bodine in the #66 following McDowell’s Nationwide run at Montreal, Skinner, the 43rd-place starter, maintained the last position early. However, it was Yeley who fell out first, beating Skinner to the garage by three laps. 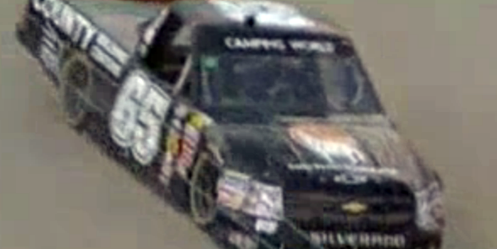 Bodine finished 39th, exiting the race 21 laps into the opening green-flag run. *The #55 had not finished last in a Cup race at Michigan since 1994, when Jimmy Hensley’s Petron Plus Ford lost its engine 2 laps into the 1994 Miller Genuine Draft 400 at Michigan. 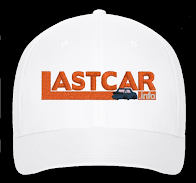 *Ford had not finished last in a Cup race at Michigan since 2009, when Bobby Labonte’s #96 DLP Ford fell out with engine problems after 18 laps of the 2009 CARFAX 400 at Michigan. *Yeley had never before finished last in a Cup race at Michigan. Chris Jones picked up the 4th last-place finish of his NASCAR Camping World Truck Series career in Saturday’s VFW 200 at the Michigan International Speedway when his #87 Garbee’s Truck and Trailer Chevrolet fell out with an engine failure without completing a lap of the 102-lap race. 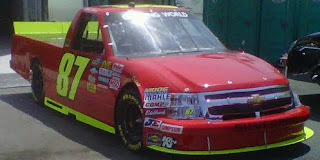 Just 33 trucks showed up to the 2-mile Michigan track for qualifying, allowing Jones to make his third Truck Series start of 2011 without taking a qualifying lap. In his two previous starts at Dover and Kansas, his #87 has come home 32nd and 34th, exiting both races in the early laps. This time, Jones failed to complete the opening lap, going behind the wall with engine trouble as the race began. Mike Harmon, driving in his own Truck Series ride for the first time since 2009, fell out two laps later with handling woes. *This was Jones’ first last-place finish in 28 races, dating back to an early-race crash his #87 Copy Wizard Chevrolet suffered 6 laps into the 2010 AAA Insurance 200 at Lucas Oil Raceway. *It is only the third time in Truck Series history that the #87 has finished last. The first time came when the late John Nemechek lost the engine on his Chevrolet 3 laps into the 1995 Pizza Plus 150 at Bristol. 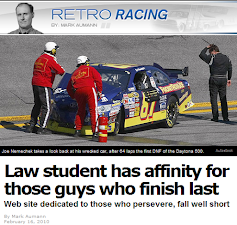 *This was the 30th time in Truck Series history that a driver finished last without completing a single lap. The last time it happened was 20 races ago when Johanna Long’s #20 Panhandle Grading and Paving Toyota lost its transmission at the start of the 2010 Smith’s 350 at Las Vegas. Jones is the 28th driver to have done so as Chris Horn failed to complete a single lap of three races from 1999-2000. Jeff Green picked up the 22nd last-place finish of his NASCAR Nationwide Series career in Saturday’s Zippo 200 at Watkins Glen International when his unsponsored #44 TriStar Motorsports Chevrolet fell out with brake problems after completing one of the race’s 85 laps. It was Green’s series-leading sixth Nationwide last-place finish in 2011 and second in a row, following his Lap 3 exit at Iowa last week. Green is also two finishes away from tying Jeff Fuller for the all-time LASTCAR Nationwide Series lead. In qualifying, Green turned in a lap of 116.767 mph, the 38th-fastest speed, but rolled off 43rd as five teams locked into the field ran slower than him in qualifying. Still, Green was assured his twentieth start of the year as he ran fast enough to bump five other “go-or-go-homers” out of the field. Among those who failed to qualify were Key Motorsports’ three “start-and-park” Chevrolets driven by Chase Miller, Brian Keselowski, and Tim Andrews. After the start of the race, Green’s car was the first to pull behind the wall, followed three laps later by T.J. Bell, who complained that the brakes had gone soft on his Jennifer Jo Cobb-owned #13. *Neither Jeff Green nor the #44 had ever before finished last in a Nationwide Series race at Watkins Glen. *Ever since he joined TriStar Motorsports in late 2009 for what was then the #36 team, Green has finished last in 14 of the last 38 races - nearly two last-place finishes for every five Nationwide Series races. J.J. Yeley picked up the 5th last-place finish of his NASCAR Sprint Cup Series career in Sunday’s Good Sam RV Insurance 500 at the Pocono Raceway when his unsponsored #55 Front Row Motorsports Ford fell out with overheating problems after 7 of the race’s 200 laps. Yeley was competing in his second race as driver of Front Row’s new third team that debuted last month at New Hampshire when Jeff Green finished last in the Lenox Industrial Tools 301. Though he failed to qualify in his team debut at Indianapolis, he came back to time in 34th at a speed of 168.909 mph. It was a solid effort for driver and team as Yeley outranked all “go-or-go-homers” in Friday’s opening practice session and was ranked second of that group in qualifying. Todd Bodine, taking a turn in the HP Racing #66 while Michael McDowell competed in the Nationwide event at Iowa, qualified 30th. In the race itself, the 43rd spot changed hands several times between Bodine, Jason White (making his Cup debut in the #32), and David Stremme in the Inception Motorsports #30. However, Yeley’s #55 was the first to go behind the wall on Lap 7, followed the next lap by Erik Darnell in Dusty Whitney’s unsponsored #46 Ford. Pocono was the first race for Whitney’s Ford as Darnell failed to qualify along with Yeley at Indianapolis. Yeley, who started the season driving for Whitney, will race for Front Row Motorsports for the rest of 2011, splitting time between “start-and-parking” the #55 and running the full race in the #38 currently occupied by Travis Kvapil. Yeley drove the #38 to a 23rd-place finish at New Hampshire last month. *This is the third time in the last four years that the #55 has finished last in the second Cup race at Pocono. Each time, the number was run by a different team. Last year, Michael McDowell’s unsponsored PRISM Motorsports Toyota fell out with a vibration 23 laps into the race and, in 2008, Michael Waltrip’s NAPA Toyota fell out with an engine failure after 24 laps. *Yeley is the only Cup driver to finish last for more than one team in 2011. 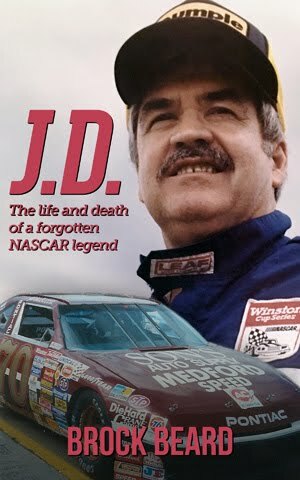 Prior to Sunday, he finished last in the Daytona 500 and at Richmond in Dusty Whitney’s #46, back when they ran Chevrolets. Jeff Green picked up the 21st last-place finish of his NASCAR Nationwide Series career in Saturday’s U.S. Cellular 250 at the Iowa Speedway when his unsponsored #44 TriStar Motorsports fell out with a vibration after 3 of the race’s 250 laps. Green timed in 25th for the race at a speed of 128.054 mph, ranking him a solid third among the thirteen “go-or-go-homers” that filled the 43-car field. Still, with the effort of supporting TriStar teammates Mike Bliss and Eric McClure in mind, Green pulled behind the wall after three laps. Bliss and McClure came home 18th and 26th, respectively. Iowa saw Brian Keselowski make his first start with Key Motorsports, running the team’s #47. Keselowski pulled behind the wall one lap after Green, then served as a spotter for the remainder of the event. Charles Lewandoski, running Key’s primary #40, finished 22nd. *This was Green’s fifth last-place finish of 2011 and his first since the Subway Jalapeno 250 at Daytona, where he also exited after 3 laps with a vibration in the #44. *This is the second-consecutive year that Green has finished last in the July race at Iowa. Last year, his 43rd-place showing in TriStar’s #36 was the first of eight last-place finishes he scored in the 2010 Nationwide Series season. Special Thanks to Aaron Creed for this week's photo! Chris Lafferty picked up the 3rd last-place finish of his NASCAR Camping World Truck Series career in Saturday’s Good Sam RV Emergency Road Service 125 at the Pocono Raceway when his #89 Lafferty Performance / Blue Ox Chevrolet fell out with handling problems after 2 of the race’s 53 laps. Only 31 trucks showed up at the unique Pennsylvania track, allowing Lafferty to make the field with a lap of just 127.520 mph - more than 15 seconds off the pace of polesitter Kevin Harvick. It would be just the second time his family-owned #89 team qualified for a Truck Series race and his first since he came home 31st at Nashville. After a DNQ at Darlington, Lafferty also parked Jennifer Jo Cobb’s #10 at Dover in May, scene of his most recent last-place finish. Two laps after the green flag, Lafferty was the first to pull behind the wall. 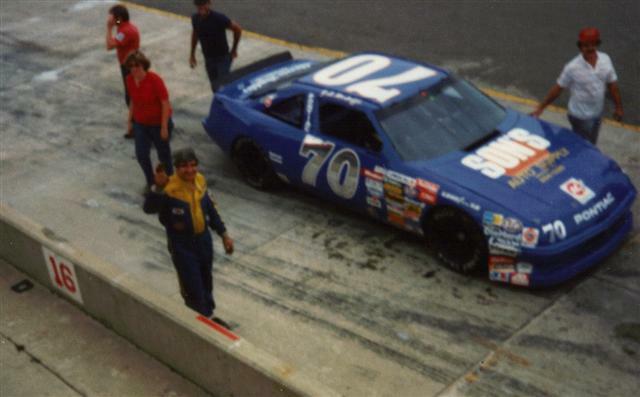 Five laps later, he was followed to the garage by 76-year-old James Hylton, making his Truck Series debut in Norm Benning’s second truck. By doing so, Hylton bested his own record of oldest driver to start a NASCAR-sanctioned race set when he finished last in the Nationwide race at Darlington. 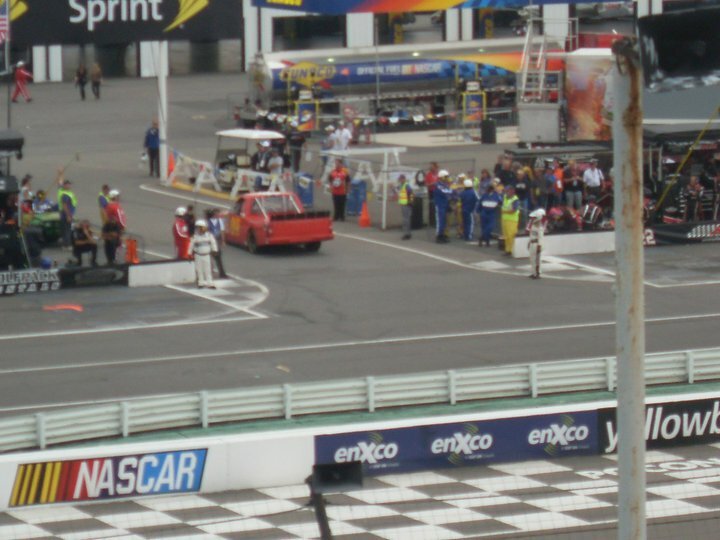 Neither truck returned to the track when the race was postponed by rain to Sunday. *Lafferty and the #89 most recently finished last in a Truck Series race in 2010, when Lafferty scored his first career last-place finish in the 2010 Dover 200 at Dover, leaving the race after the opening lap. *This is only the second time in NASCAR history that the #89 has finished last in any NASCAR-sanctioned race at Pocono. The other time was in the Sprint Cup Series when Morgan Shepherd’s #89 Racing With Jesus / Red Line Oil Ford fell out with handling woes 44 laps into the 2003 Pennsylvania 500.